Poisoners, zealots, revolutionaries, outcasts, and warrior-assassins have been around since the beginning of time. Some killed for their beliefs or country while others did it for the money. All were specialized killers, trained to take out specific religious or political targets quickly and cleanly without widespread bloodshed. 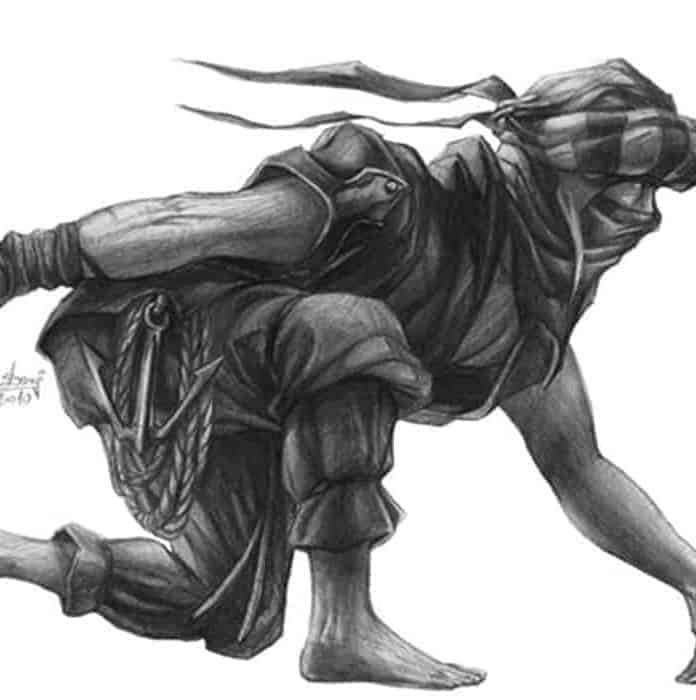 Groups of assassins usually operated covertly; making stealth, speed, and cunning as essential a part of their arsenal of skills as weapon use. Some of these groups had no affiliations or allegiances, making them wholly neutral and socially independent, even if they had a governing agenda. Other assassins were very much part of society. Part of a broader military force, they were specialized units employed for particular purposes- on the field of battle and off it. Whichever form they took, assassins were elite killing groups, trained to act with no regard for their safety. Here are just eight groups of assassins from the past. The origin of the name ‘Hashshashin’ is debatable, the more so because most sources for the assassins are second hand. Marco Polo claimed it came from Hashishi, or the ‘Hashish users’ as the Hashshashin reputedly used the drug before committing their murders. It is more likely that detractors applied the hashis reference, as Islam frowned upon the use of drugs – and the original assassins were devout Muslims. The Hashshashin themselves referred to their sect as al-da’wa al-jadīda or ‘new doctrine’- a reference to their mystical roots in Shi’a Islam. They were founded in Persia in 1090AD by a Hasan I Sabbah, a leader of an Ismaili sect of Shi’a. At this time, the Shi’a were a minority ruled over by a Sunni caliphate. The Shi’a could not hope to overthrow their rival faction in open battle- so they adopted covert means. They started by establishing themselves in the mountain fortress of Alamut, ousting the King of Daylam. This castle became the headquarters for a network of Hashshashin forts stretching across modern Iran, Iraq, Syria, and Lebanon. The Hashshashin usually chose their targets from the Sunni political hierarchy. However, they did work for hire if it suited their cause, helping the Knights Hospitallers in the Crusades by assassinating the Patriarch of Jerusalem. It was the Crusaders who carried the name ‘assassin’ back to Europe. The Hashshashin studied the language and cultures of their targets so they could blend in. Then they struck. Agents could act immediately or lie in wait in disguise for years, seeking an opportune moment to strike. Each Hashshashin knew that his death would follow a hit. However, as they expected to awake in paradise, this did not trouble them. However, the Hashshashin soon met their nemesis. By 1237, all of Persia- except for the Hashshashin’s fortresses- was in the hands of the Mongols. The Hashshashin had pledged loyalty to the Khan. But in the mid-thirteenth century, this was tested when Mongke Khan, Genghis’s grandson, decided to invade Islamic Bagdad. The Hashshashin concluded that Mongke had gone too far. So their ally became a target. However, the operative the Hashshashin sent to Mongke’s court was detected. In retaliation, Monhke sent his brother Hulagu to break the group. Mongol forces besieged Alamut. However, Hulagu promised clemency- if the Hashshashin’s leader surrendered himself. On Nov 19, 1256, the last leader of the Hashshashin gave himself up. The Mongols destroyed Alamat and paraded the defeated Hashshashin leader at each of his subordinate fortresses. They, like Alamat, submitted- and were demolished. Afterwards, the Hashshashin survived in small, fractured groups. But their power was finally diminished.